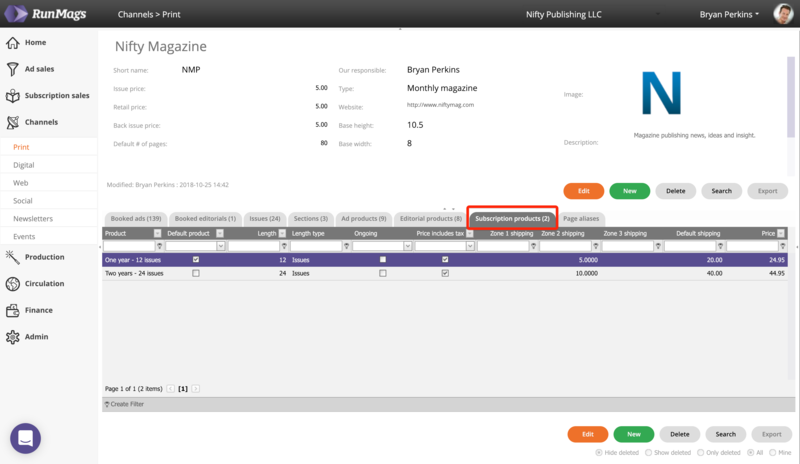 Manage your subscription product inventory for your print magazines. 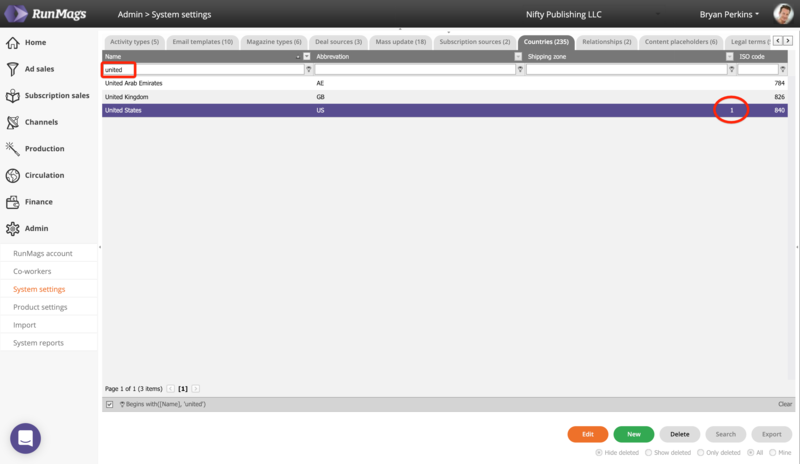 In tab named Subscription products you can find any subscription inventory for your selected magazine. To add a new subscription product, click the green New button. 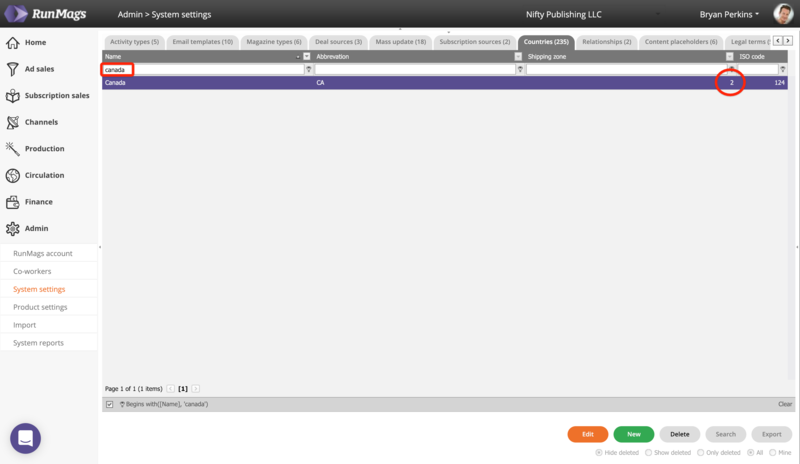 To edit a subscription product, click the orange Edit button or double-click the selected item. The product name and description is used in manual orders as well as in the secure and responsive subscription portals. The pricing can be set up by issues or by calendar time by selecting a length type and apply a length. 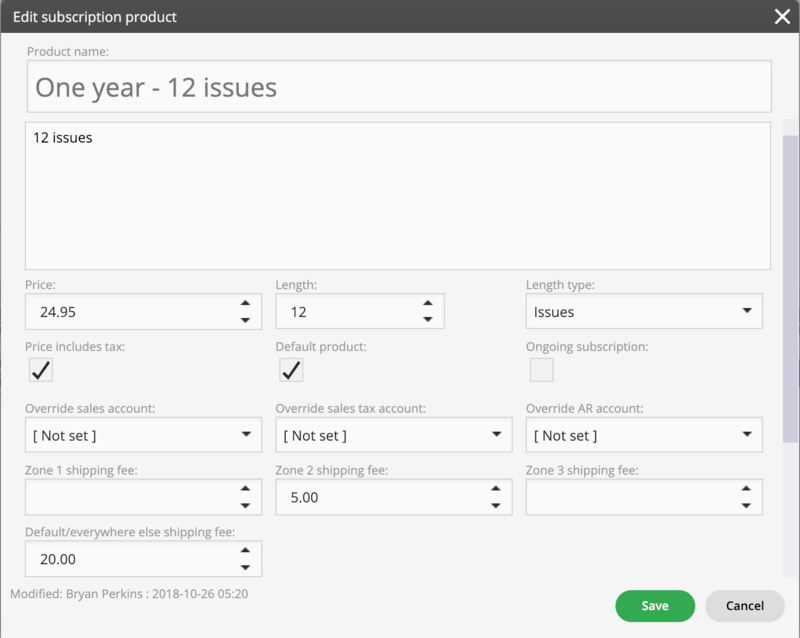 In the example above the subscription is for 12 issues. Checkbox for tax is used if the tax displayed to customers should be inclusive or exclusive of tax. The accounting override fields can be used to select specific account in an accounting software to sync information to. The shipping fee fields specify how much should be added to the bill for shipping, depending on the address of the subscribers. See expanded section below on how to manage shipping fees and zones. Depending on your business model, you can set up a shipping fee structure to be general in nature or with specific fees by country. As described above, the shipping fees are defined by zone. There's zone 1-3 and then there's everywhere else. In the product example above we have specified free shipping for zone 1 and $5 for zone 2. Everybody else get charged $20. The zones are managed in Admin >>> System settings. Below you can see that the United States have been assigned to zone 1 and Canada to zone 2. You can assign as many countries as you want to the different zones. The shipping fees you set up will be applied automatically to the subscription portals where subscribers can sign up online to subscribe to your magazine. The portals will even use the user's IP address to detect which country they are in when they are signing up. That country will automatically populate the country address field. Even if you only plan on having subscribers in your home country, we recommend that you set up a fee structure that is prepared to manage international subscribers. You can even set the default shipping fee so high that it doesn't make sense to sign up from abroad. That way you protect your business.